The paper compares ontic structural realism in quantum physics with ontic structural realism about space–time. We contend that both quantum theory and general relativity theory support a common, contentful metaphysics of ontic structural realism. 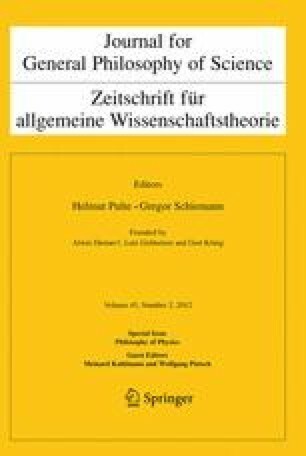 After recalling the main claim of ontic structural realism and its physical support, we point out that both in the domain of quantum theory and in the domain of general relativity theory, there are objects whose essential ways of being are certain relations so that these objects do not possess an intrinsic identity. Nonetheless, the qualitative, physical nature of these relations is in the quantum case (entanglement) fundamentally different from the classical, metrical relations treated in general relativity theory. We would like to thank an anonymous referee for comments on the first version of this paper. VL is grateful to the Australian Research Council (ARC) for financial support (Discovery Early Career Researcher Award (DECRA), project DE120102308).